The Rubber Cafe Design Team Blog: Faith Hope Love Box! Hello Everyone! Hope you are having a great day! April is such a wonderful month. It's a month of new beginnings with the trees budding and all the green things growing. April can also mean weddings! I know I got married on April 27, 1991 to my high school sweetheart! 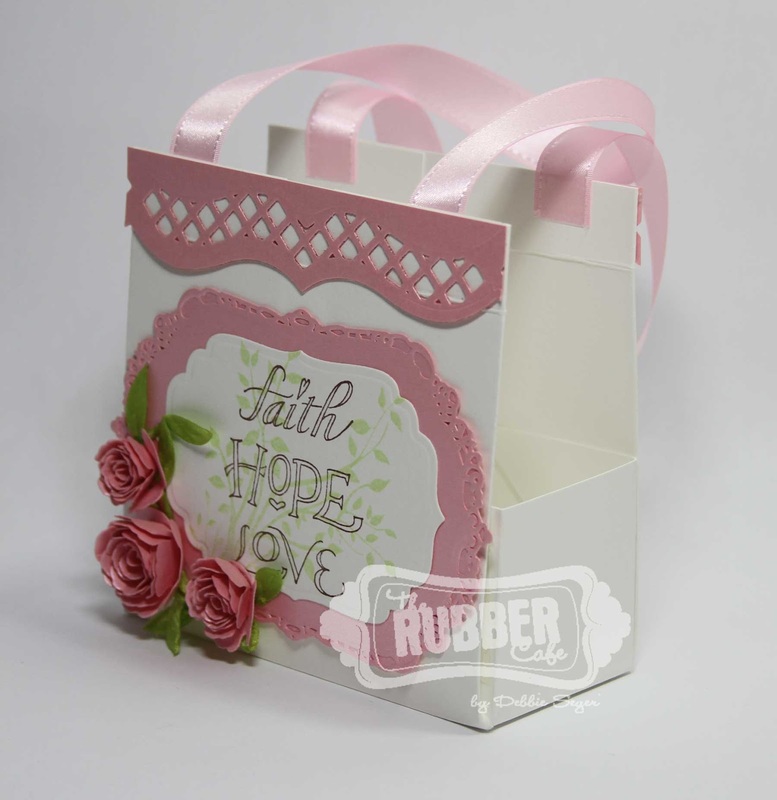 Here is a little bag I created that would be perfect for a new happy couple! I decorated this one sheet bag with the new S5-159 Gold Deco Labels Four cut/embossed from some rose metallic cardstock. I cut/embossed white cardstock using S4-190 Labels Four. Then I stamped the Tree Silhouette stamp using New Sprout Memento Ink pad. I stamped the Faith Hope Love stamp over this using Rich Cocoa Memento Ink pad. 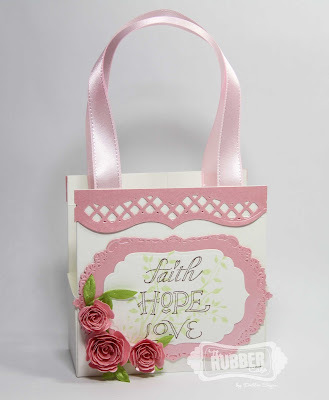 I added some flowers using the Bitty Blossoms die templates and the A2 Bracket Borders for the top of the bag. Here are a few more view of my bag. I don't know anyone getting married this month so I am not sure who will be getting a present in this bag but I know they will love this gift bag! Beautiful! 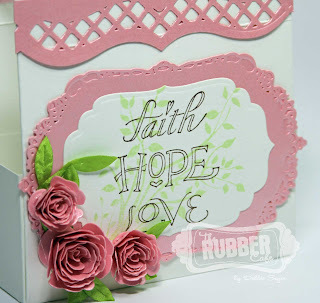 Love the sentiment and the soft pinks. Any girl would be lucky to receive this! Cute story Kristine! Love the last line. ha! I love your sweet bag! wonderful gift idea. wow, Kristine, that's a wonderful idea for a love box! it's beautiful!